Josh Stallings has a habit of writing books that elicit strong emotions from his readers. The Moses McGuire series deals with topics that are heavy-handed, leaving most readers feeling righteous indignation towards the treatment of some of his secondary characters. His ability to elicit these strong emotions is what made the Moses’ trilogy such a favorite to lovers of dark, hard-hitting fiction. 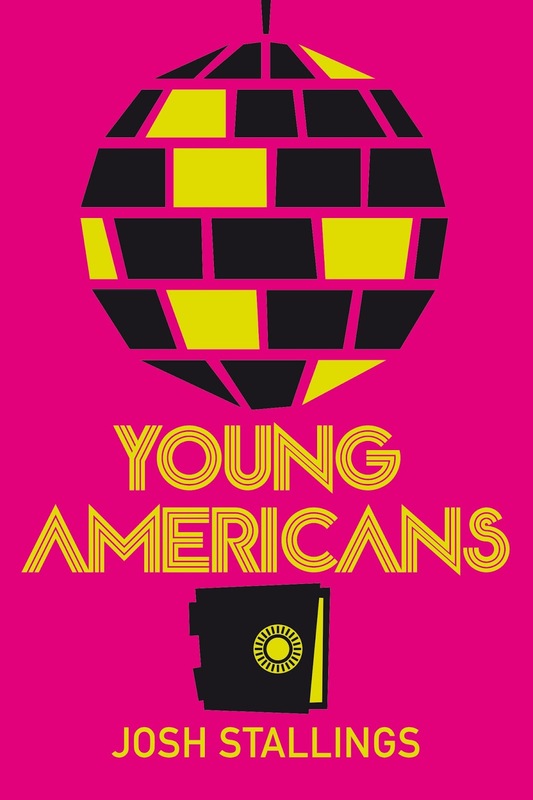 Stallings, who commented that the Moses’ trilogy took a lot out of him emotionally, takes a shot at writing a “softer” novel, Young Americans, a straight-up heist novel that takes place in the 70s. The big question for me was could the magic he displayed in his previous books carry over into this one, or would taking away the brutal subject matter render him less effective. Sam is an accomplished thief. Taught to crack safes and live a life of crime by her grandfather and her father, she enjoys the criminal upbringing until her father gets sent to prison for life. Losing her father causes her to rethink her choices, like moving away from her family and barely eke out a living as a stripper in Humbolt County. After she vouches for a boyfriend in a drug deal, she's left holding the bag. She winds up in debt to a big time criminal and forced to reconnect with her old crew to pull off the robbery of a mafia owned nightclub to pay off her debt. Stallings’ amazing writing talents are on full display throughout this fast-paced story. His characters do more than just appear in the book, they jump off the page and come to life. Stalling has a way of making each character unique in their motivations, yet meld them together. And they work well as a team in planning the heist. As with his previous three novels, Stallings knocks this one out of the ballpark. Like an accomplished actor switching roles from a heavy drama to a more light-hearted role, he makes you forget about his previous body of work and you become immersed in the new world he has created. This world is a lot of fun and it’s a blast from start to finish. Stallings shows his readers they need not worry what subject he chooses to tackle; they need only buckle up and enjoy the ride.